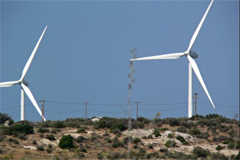 February 10, 2009 (Campo)--Editor’s Note: Should wind turbines hundreds of feet tall –higher than the existing Kumeyaay wind farm turbines—be allowed in the rural McCain Valley/Boulevard region in East County? Does the nation’s critical need for “green” energy outweigh the concerns of residents seeking to preserve the rural character of their backcountry communities? With new industrial-scale wind farms proposed across America, East County Magazine’s Gayle Early set out on a quest to explore these issues in depth for our three-part series on wind energy. “What giants?” said Sancho Panza…. Just as Miguel de Cervantes’ infamous Spaniard, better known for his dubious love exploits, goes to battle against his giants, the tiny backcountry community of Boulevard is waging several fronts against modern-day giant windmills. Community Planning Group Chair Donna Tisdale has one lance pointed at a Spanish-owned wind turbine company called Iberdrola, which hopes to erect wind turbines several hundred feet high in her neighborhood. Another lance is aimed at the Bureau of Land Management (BLM) which has put up public lands for sale, another at the Campo Reservation next door that she fears will expand its wind farm to within 1200 feet of her house, and yet another at the County Planning Commission that wants to relax permitting processes on private properties to enable bigger, taller wind turbines to be built. Tisdale needs a whole quiver of lances to protect the wide-open spaces in McCain Valley, near the rustic one-road town of Boulevard where she and her husband, Ed, moved in the early sixties. A grandmother who wishes she had more time to enjoy life, she is now a reluctant expert in land-use policies—and she’s made a few enemies in her battles against the local, state, federal, and international corporate giants in her quest to preserve the East San Diego County viewshed. Gamesa Technology Corporation, a Spanish-owned wind turbine manufacturer, has clarified to ECM that an “important percentage of our stock-holders happen to be American funds” and that the turbines for the McCain Valley project would be made at the company’s U.S. facilities. Tisdale’s ideas are more in keeping with San Diego Association of Government’s San Diego Regional Energy Strategy 2030, which emphasizes local-power generation and local or “distributed” generation. California’s Global Warming Solutions Act of 2006 aims to knock back carbon emissions 25% to 1990 levels by 2020, a whopping 80% by 2050 to curb global warming. To make that happen, California has mandated 20% renewable energy by 2010 and 33% renewable energy by 2020, one of the most ambitious energy plans in the country. An executive order by governor Arnold Schwarzenegger also clears red tape for licensing renewable projects, red tape being the best hope for the folks in Boulevard. The world’s eighth largest economy, California spent $31 billion on electricity in 2007 and falls somewhere between the 9th and 16th largest carbon emitter in the world. That’s a lot of juice and a lot of carbon output, roughly five times that of China per capita, and 12 times that of India. Owing to the state mandate, SDG&E and other investor-owned utilities in California are under the gun to clean up their acts. But in 2007, the Public Utilities Commission (PUC) reported that SDG&E delivered only 5.2% renewable power, a far cry from the 20% required by 2010. And that has our favorite local monopoly scrambling to sign up industrial-scale developers for more renewables. President Obama’s recent visits to wind turbine factories are highly symbolic for the folks in Bou levard. They have more than one “uphill” battle, as they ponder their ridge and green-energy forces all the way up the political food chain. The feds also want to reduce the 85% of our energy that comes from fossil fuels. They’re demanding 30% renewable energy by 2030, be it from wind, sun, or thermal. The Department of Energy wants 20% to come from wind power alone by 2020. The DOE is now proposing billions in government grants, instead of tax credits, hoping to double renewable electricity production in as few as three years, as reported in CNN Money.com. Accomplishing these lofty goals will take 140 new wind plants a year, according to American Wind Energy Association (AWEA), headquartered in Washington, D.C. The world’s largest owner/operator of renewable energy, Iberdrola Renewables, wants to anchor up to 133 wind turbines on McCain Valley ridge, a crest that straddles BLM land on the east side (and includes Lark Canyon OHV park and Cottonwood campground); and ranches and homes on the other. 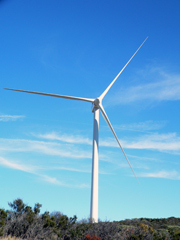 If approved, the turbines would be taller than any existing wind turbines in San Diego County. The folks in Boulevard have many concerns, chief among them that the line of turbines marching atop their shared ridge will hover over their porches, pastures, and views facing east, destroying their tranquil landscape. In an area where the next-door neighbor is a ride down a long dirt road, turbines that are a quarter to half a mile away would literally tower over their properties. It all started in 2005, when the BLM quickly responded to the national Energy Policy Act and opened public lands to expedite renewable energy development. In a controversial move, the BLM downgraded scenic backcountry areas from high “Visual Resource Management (VRM)” classifications to lower ranks that enable wind and other developers to transform backcountry regions into a utility corridor, McCain Valley chief among them. The BLM granted rights-of-way for 17,600 acres of East San Diego County public lands for wind development. BLM then rezoned 12,185 acres of “the visually sensitive and spectacular McCain Valley to intensive industrial development” (according to one lawsuit) without the usual environmental review and public input. 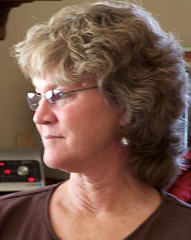 Tisdale, representing the Boulevard community’s planning group, sent a protest letter asserting the BLM shouldn’t summarily grant rights-of-way to wind developers, that parking an industrial energy corridor near homes, ranches, and farms is antithetical to the rural character and priceless views, among many concerns. She got little or no response (calls to BLM for comment were not returned by deadline). David Hogan, of the Center for Biological Diversity, also sent the BLM a letter of complaint. Along with Tisdale, a law firm representing Desert Protective Council and Backcountry Against Dumps, and another representing prominent Native American activist and spokesperson Carmen Lucas have entered the fray. Lucas’ lawyer wrote to BLM: “My client asks that BLM NOT ruin what remaining landscapes and viewsheds we have left in San Diego County.” Lucas said the area and its views are replete with religious and cultural significance. Cremated remains of thousands of tribal people are in the study area, one of the last strongholds for local tribes. That complaint also pointed out that proposed utility projects can also interfere with the flow of the landscape and viewsheds in the San Felipe, Banner Grade, Oriflamme, and Sawtooth areas. Seeking “proper land use planning and management,” the Desert Protective Council, in existence for 54 years, stated in their protest that the desert areas opened for wind development have unique scenic, scientific, historical, ecological, spiritual, educational, and recreational value to residents and visitors alike. The BLM reclassification violates many federal acts, the Council says, and contradicts the public land agency’s mandate to preserve and protect certain public lands in their natural condition, including protecting visual resources. Linehan acknowledged that “the visual issue is the one that people are quite concerned about.” But he added, “Some people say this is a visual signal that we’re going somewhere better as a country, in terms of our energy supply. Some say—and I’m not going to say this is everybody—they like the view because we’re creating energy independence, creating energy that is green, that a positive step has been made on our energy planning. 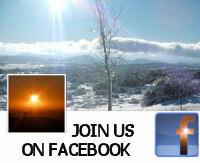 And Tisdale says: “What is so glorious out here, is you have in some places 360-degree views. Uncluttered, clean ridgelines. It’s a sense of openness and space that’s so hard to find in this day and age.” They enjoy their unobstructed vistas, quirky granite monoliths, and purple-layered mountains beyond. As part of the permitting process, Linehan said, the BLM is “pretty conscious of the visual impacts and we’ll be working with them. They’re bringing in their national visual resources expert to see what we can do to reduce the visual impact. It’s not going away, but there are things we can be doing with micrositing. Like heliotropes turning to the sun, their nacelles, the turbines’ brains, sense the direction of the wind, then swivel, nod, and spin accordingly. Wind energy is converted to rotational energy and eventually to toaster energy, as electrons shunted along SDG&E’s existing Southwest Power Link and eventually Sunrise PowerLink will feed an energy-hungry and growing urban populace. That’s the plan. Drive out Interstate 8 toward the Golden Acorn Casino on the Campo Reservation, and you’ll see the Kumeyaay Wind Farm rising up suddenly in your windshield. Twenty-five 324-foot wind-spinning turbines stand sentinel atop the Tecate Divide over some three miles. It’s a windfall for the Indians. They get $300,000-400,000 a year for leasing their land. They also got a lot of jobs during construction, a benefit the industry touts to rural communities. San Diego County also rakes in over $300,000 in property tax revenues, said Michael Connolly Miskwish, former tribal council member of the Campo band—revenues the tribe doesn’t get back in county services, since the tribe provides its own governmental services, like maintaining its own fire station. Wind farms are a needed source of revenue for the Campo tribe; adding more turbines could be worth millions to them over the next few decades. The tribe has limited economic alternatives, since its land is in a remote area. An earlier tribal proposal for a landfill to generate revenues has been stalled for years because of opposition from community neighbors. Each turbine can generate two megawatts of power: times 25 machines, that’s 50 megawatts, enough to light up 30,000 homes, according to the Kumeyaay website. 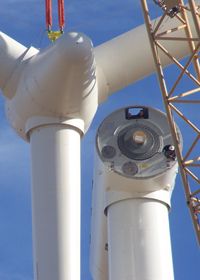 These turbines, they say, save 110,000 tons a year in greenhouse gas emissions. Their land has the capacity to produce 300 megawatts (up to 150 turbines from their current 25). Whichever way the wind blows, turbines can take advantage of San Diego’s on-shore breezes or the Santa Ana winds gusting in from the desert. Zero carbon emissions, no acid rain, smog, mercury, waste-water pollution, drilling, compressing, or reorienting watersheds. And very little waste disposal (the gears need an oil change like anything else). Breathtaking, awe-inspiring feats of engineering, wind turbines are monuments to the world’s hope and need for clean energy. Or is the value of wind plants so much “greenwashing,” as wind turbine critics say? 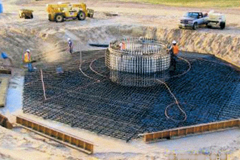 Proponents point out that a single one-megawatt turbine can displace 1,800 tons of carbon dioxide, the primary global warming pollutant, each year (equivalent to planting a square mile of forest), as noted the American Wind Energy Association’s Wind Energy Siting Handbook. In fact, to generate the same amount of electricity as today's U.S. wind turbine fleet (16,818 megawatts) would require burning 23 million tons of coal (a line of 10-ton trucks over 9,000 miles long) or 75 million barrels of oil each year, according to AWEA. Written for the industry, but available online for public consumption, AWEA’s Siting Handbook also helps communities with the kinds of questions they might want to be asking, its author told ECM. Iberdrola’s “Tule Wind Project” is a $400 million venture that aims to plug 200 megawatts of electricity into Sempra/SDG&E’s power grid, enough to fuel 60,000 homes on a good day. Typical operating capacity for wind turbines is about a third of that, however, averaged over a year. So maybe more like 20,000 homes. But not the homes in Boulevard. The electricity will be shipped out. Iberdrola projects that its 100+ turbines will reduce yearly CO2 emissions by about 250,000 tons. The company will need the highly controversial Sunrise PowerLink to help ferry some of that juice. Iberdrola will also use the existing Southwest Power Link, after adding transmission lines and substations. SDG&E plans to install a new substation in Jacumba (also a controversy) and upgrade distribution between Jacumba and Boulevard. Sunrise PowerLink is now slated to snake through the southern route—that would Boulevards’ backyard as well—to carry more carbon-heavy fossil-fuel from Mexico and, eventually, renewables from both sides of the border (although the PUC said Sempra doesn’t have to commit to any renewables). Next week, in Part II of our three-part series, the folks in Boulevard share their stories over coffee; a legitimate volley of arguments ensues from both sides; and legality of the BLM opening public lands for industrial wind development is questioned. 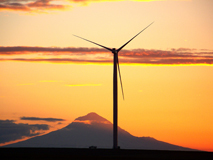 Who will win at the coming County showdown over wind development ordinances? An earlier version of this story incorrectly stated that Gamesa also producers crackers and cookies. In fact Gamesa, the wind turbine manufacturer, is unrelated to a cookie and cracker manufacturer that shares the same name. We regret the error. Gamesa has also clarified that its wind turbines for the McCain Valley project will be built at its U.S. facilities.